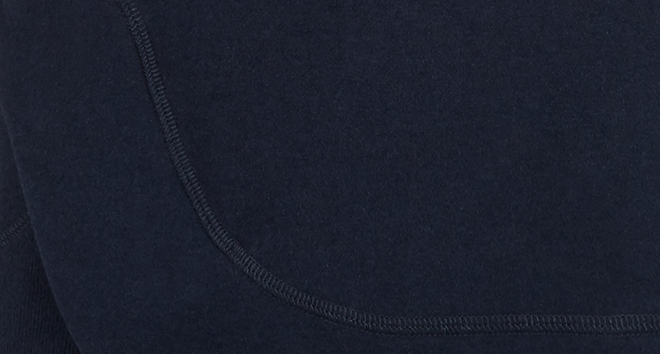 Get cosy with it in this soft and insulating hoody in luxury Italian Fleece in a new blue shade. On hand to keep you warm, this soft layer has comfortable flat seams, an asymmetric ribbed hem, and an oversized collar, its time to block out the chill. This Italian fabric is a luxury cotton blend. It drapes beautifully, has a soft hand feel. The insulation properties maintain warmth whilst managing the moisture from the skin's surface to keep you dry.